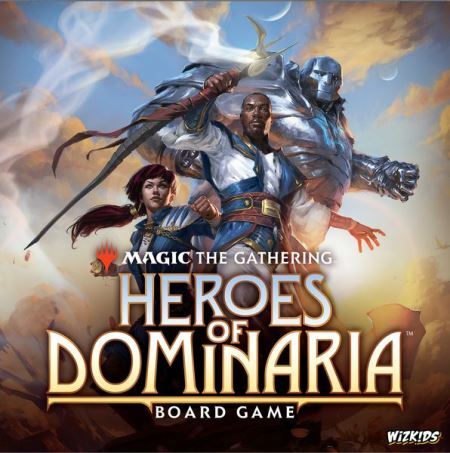 In this Eurogame designed for 2 to 4 players, explore Magic's most iconic plane and experience the trials and tribulations of being a heroic force on Dominaria. Visit storied locations such as Llanowar, Urborg, and Keld. Draw mana from the world to power abilities and recruit heroes to aid in quests. Discover powerful artifacts and create leylines to draw even more mana from distant lands. Build sites to increase your bond with a location. The land of Dominaria is filled with adventure and excitement! In true Eurogame fashion, use strategy to score the most victory points and emerge victorious.